Here’s a woman-by-woman guide to Rihanna’s incomparable crew. Rihanna is the rare singer that rolls with a crew as legit as any rapper’s. Matching her sometimes brash, sometimes playful swagger, the characters in Rihanna's all-female squad compliment her larger-than-life personality and keep her grounded. And as we await the debut of Rih’s eighth studio album, they’ve become a must-follow source of clues and information about what’s to come. Here, we break down the who's and what's of Rihanna's iron-clad crew. Melissa is the most visible member of Rihanna's lady squad: holding Rihanna’s hand at red carpet premieres, hanging behind the scenes at music video shoots, and snapping intimate portraits as they crisscross the globe. As the one friend that has been by Rihanna's side moving from Barbados to America together 14 years ago, Forde and Rihanna have become each other's family, Melissa a constant and unchanging presence during Rihanna's dizzying rise to mega-stardom. In her official capacity, Forde serves as one of Rihanna's 24 hour on-call photographers, and as the crew’s overall vibe master. Jenn, Rihanna's personal assistant and day-to-day liaison with the outside world, comes off as more of a fun-loving big sister. She has a playful and super-protective demeanor, and recently got married in a special 4/20 wedding that found the whole crew smoking up and soaking up in picturesque Hawaii. As you can imagine, this led to some pretty awesome photos of Rihanna as a turnt-up—but not show-stealing—bridesmaid. Sonita is the definition of a ‘day one’. 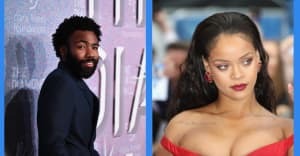 She and Rihanna met in elementary school at the age of 11, and, as Rihanna once pointed out in rare sentimental Facebook post, the two could've been enemies but instead became BFFs. Sonita, who is a doctor and mother in their native Barbados, usually pops up in photos and Instagram feeds for birthdays and galas, and occasionally makes a guest appearance when Rihanna is back home. She’s also a savvy entrepreneur, throwing soca parties and sometimes selling selfie sticks on the side. Clara Braithwaite, Rihanna’s late grandmother, was an extremely influential source of emotional support. Even after her passing, she continues to serve as a spiritual guide and source of womanly wisdom. Rihanna has named her charitable organization, the Clara Lionel Foundation, after Braithwaite, and has made personal donations to the Oncology and Neurological Medicine department at the Queen Elizabeth Hospital in Barbados, which has also been named in her honor. As Rihanna's wardrobe designer, Selman was responsible for that infamous, barely-there Swarovski crystal-studded gown from 2014’s CFDA Awards. Ottenberg is the mastermind stylist behind Rihanna's keenly composed looks, whether they’re front row or street-side. Hairstylist Yusef Williams oversees Rihanna's ever-changing mane. He’s known to throw on a wig and join the backstage twerk fests that happen on tour. Leupold is the travelling photographer who captures the hi-def candids that flood Rihanna’s Instagram. Leupold’s photos, along with Melissa Forde’s, will eventually be compiled into a Rihanna photo book.